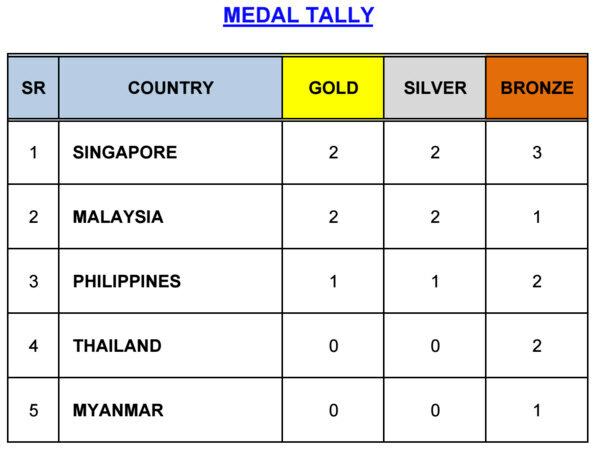 The SEA Cup concluded with a narrow win for Singapore over Malaysiua in the gold-medal deciding team match, to put Singapore at the top of the overall medal table. 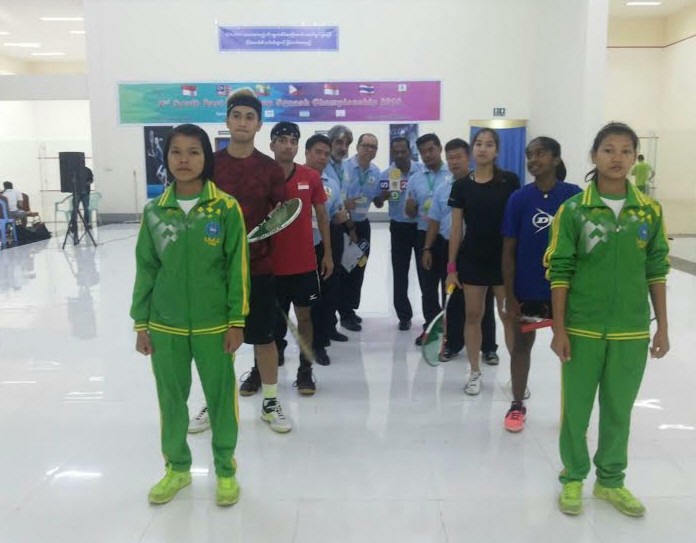 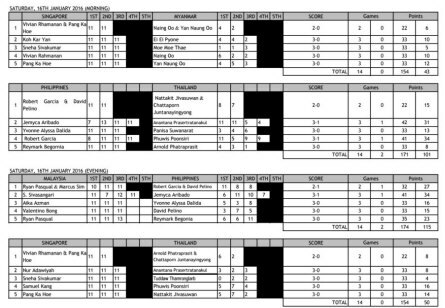 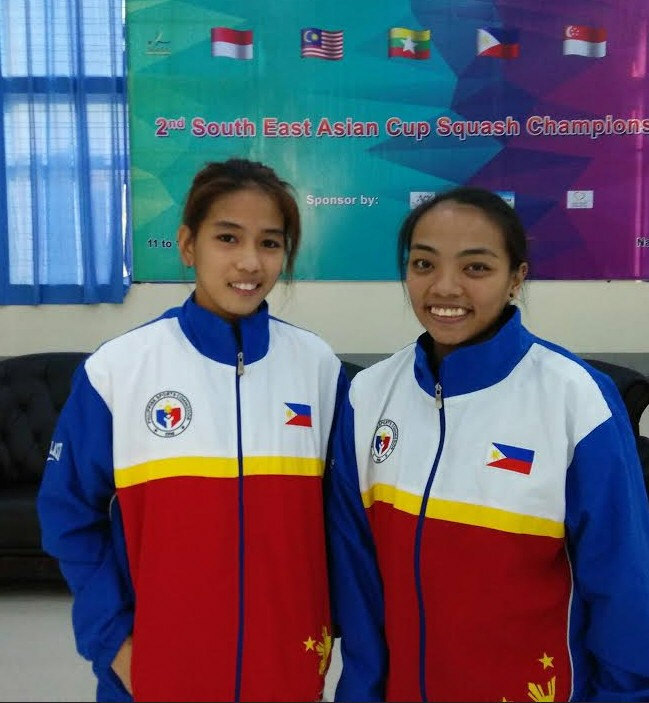 On the second day of the Team event in Myanmar top seeds Malaysia and Singapore maintained their unbeaten records to set up a Gold Medal decider on the last day of the competition. 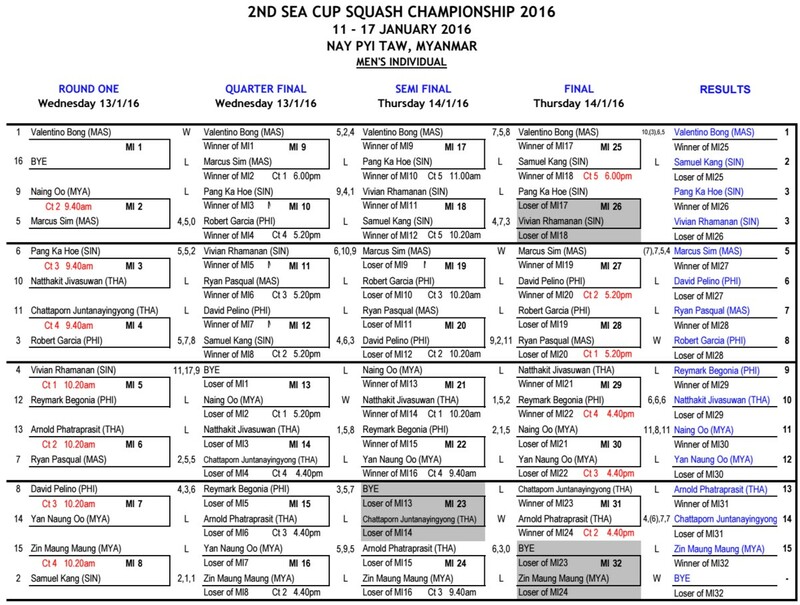 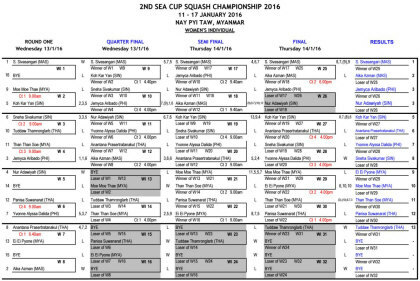 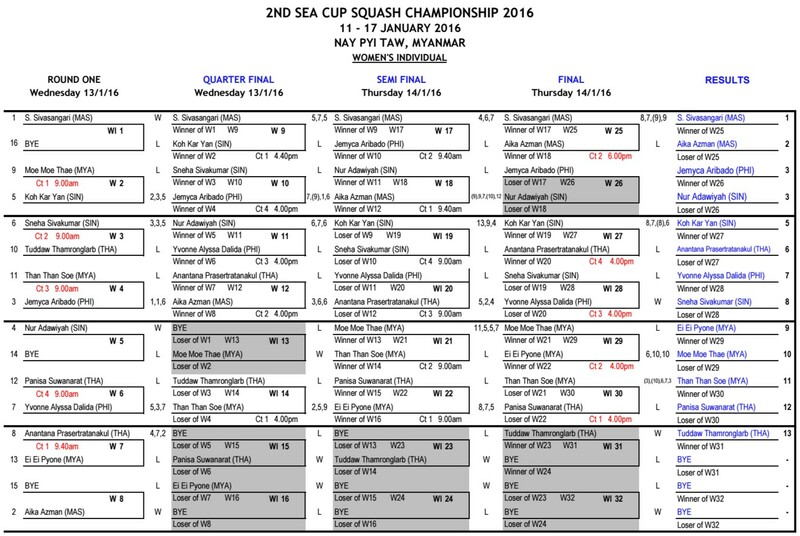 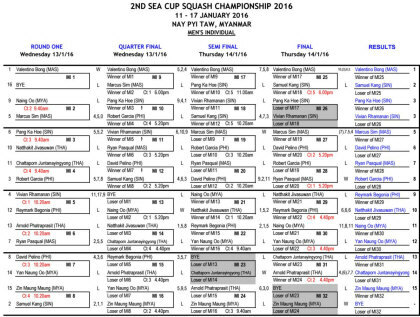 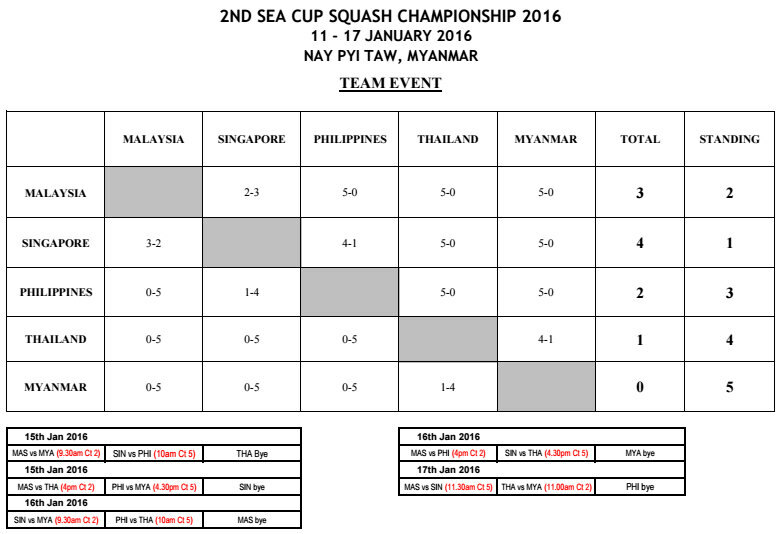 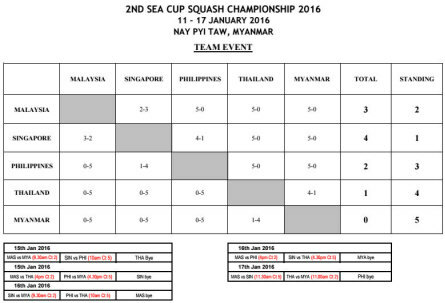 The SEA Cup Team event got under way today in Myanmar with five nations competing for the remaining Gold Medals. 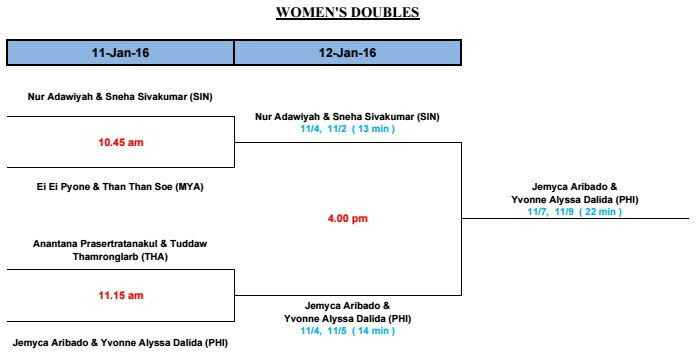 The format consists of two Men's Singles, two Women's Singles and a Men's Jumbo Double. 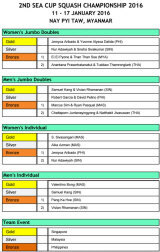 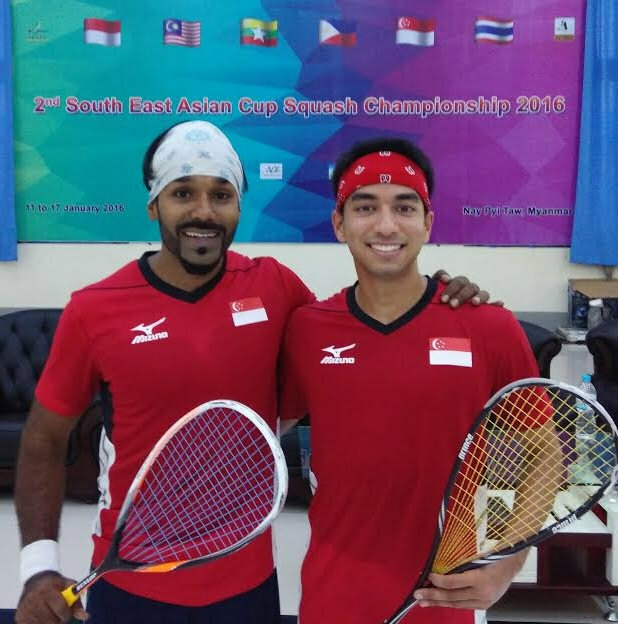 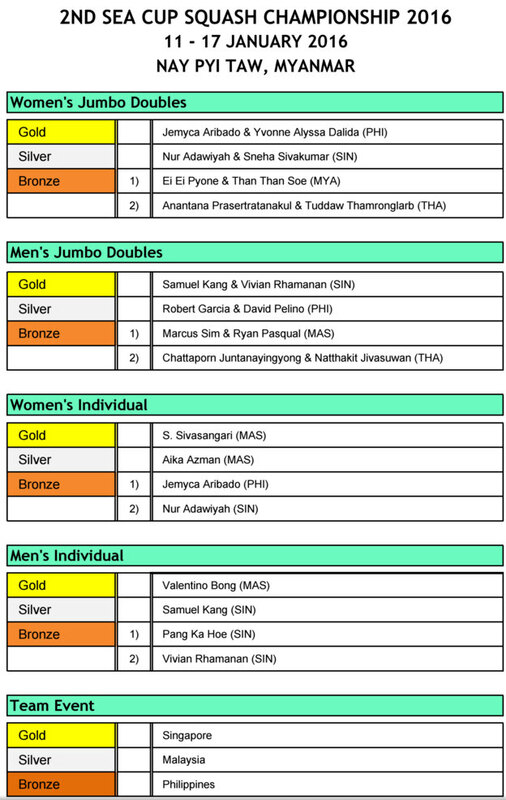 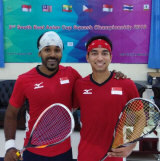 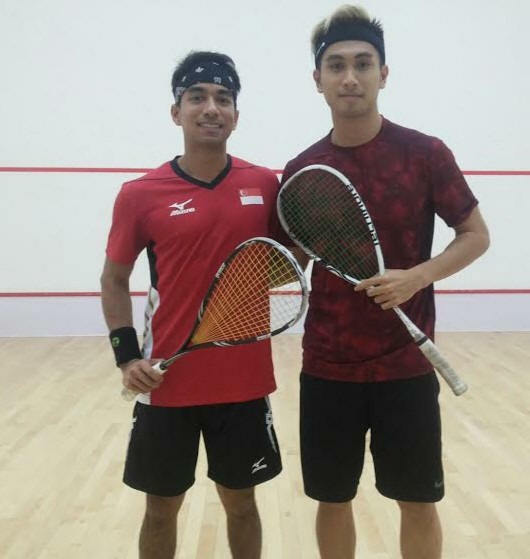 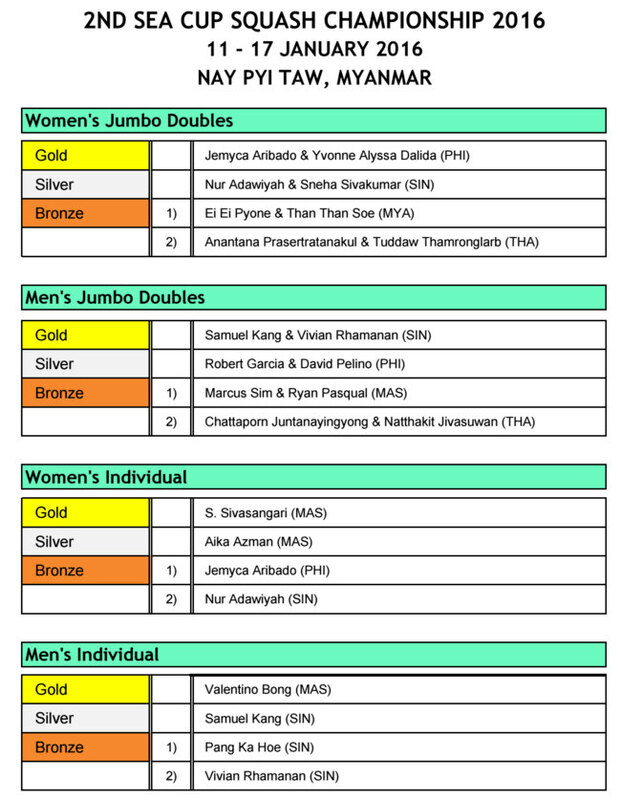 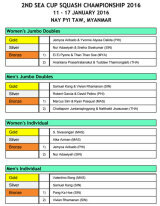 Two more rounds of play today as the the men's and women's individual medals were decided, with Malaysia's top seeds Sivasangari Subramanian and Valentino Bong taking the Gold medals. 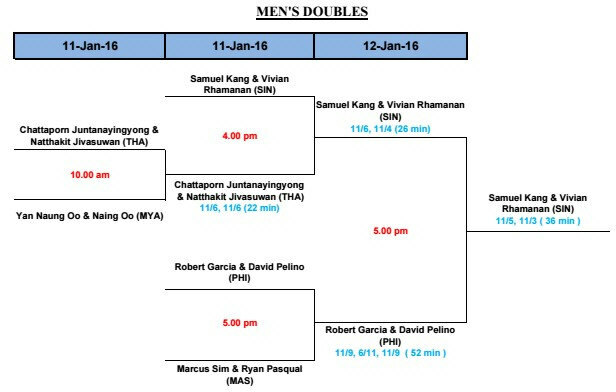 The Team Event starts tomorrow and the format will consist of two Men's Singles, two Women's Singles and a Men's Jumbo Double. 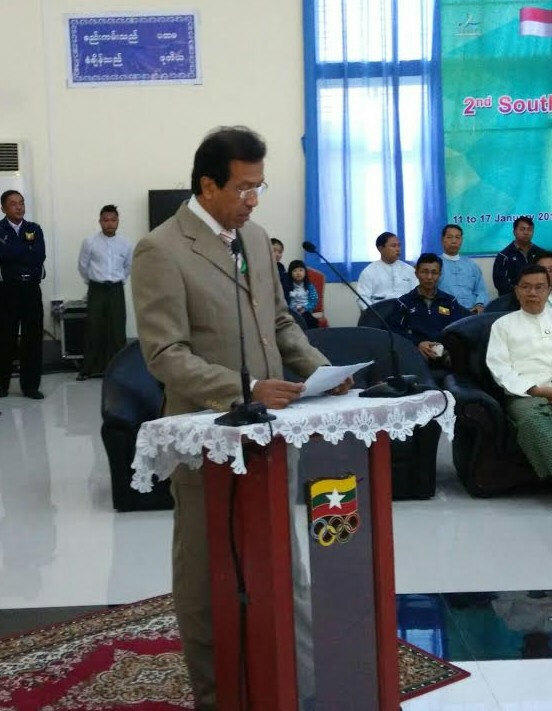 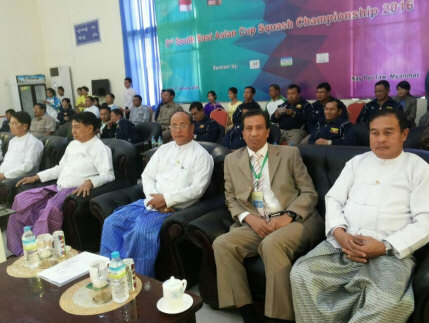 The second South East Asian Cup Squash Championships 2016 was officially declared open this morning by the Right Honorable Minister of Sports for Myanmar. 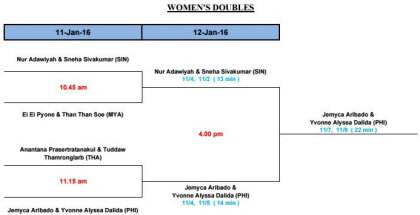 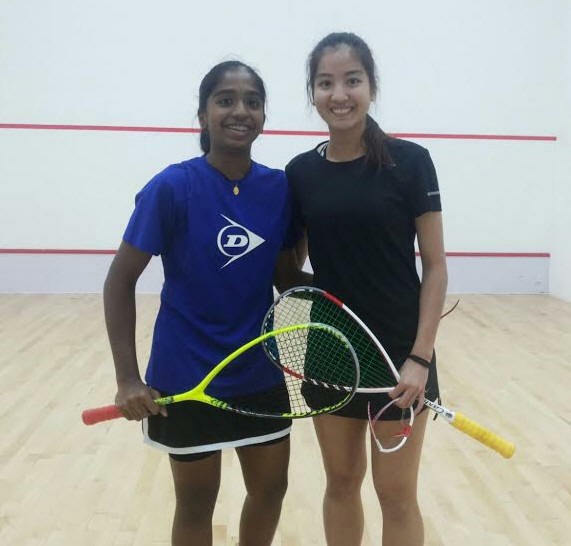 The championships will be held from 11 - 17 January at Nay Phi Taw, the capital city of Myanmar, the first international squash championships ever held in Myanmar. 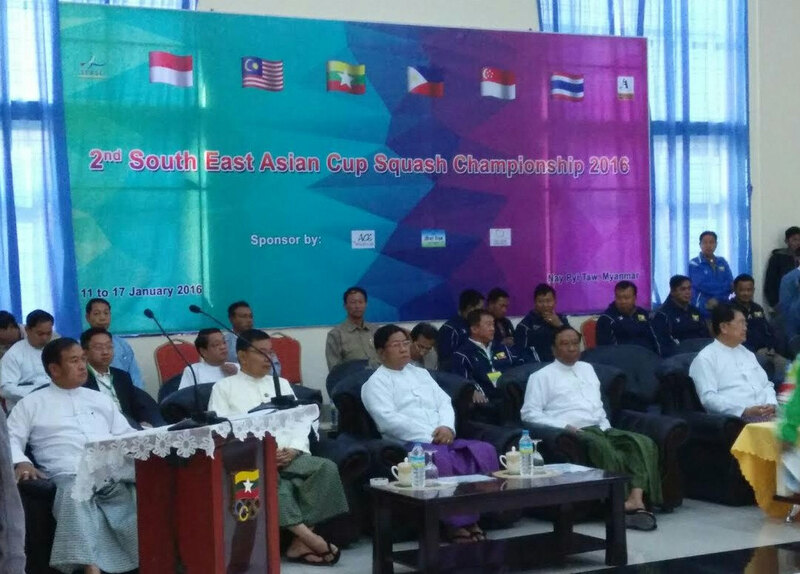 The Opening Ceremony was conducted with much pomp and fanfare befitting South East Asia's premier squash championship. 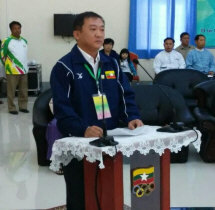 Besides the Minister of Sports the Opening Ceremony was also graced by many dignitaries.